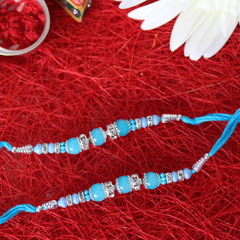 Whoa! 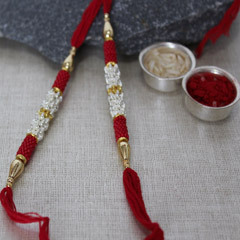 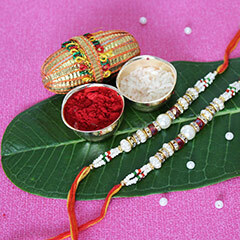 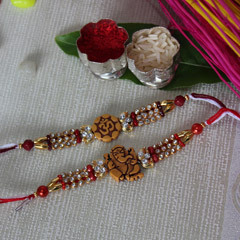 2 wonderful Rakhis for 2 cute and caring brothers of yours is here for you to buy online! 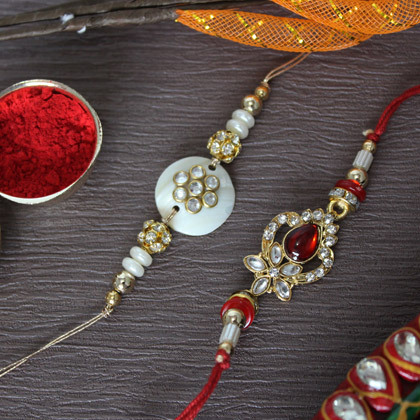 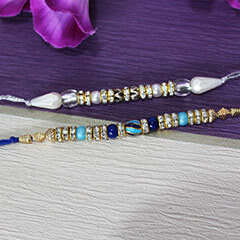 The set of 2 fabulous Rakhi have one Kundan Rakhi and one Stone studded Pearl Rakhi. 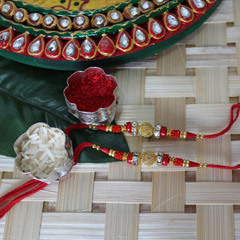 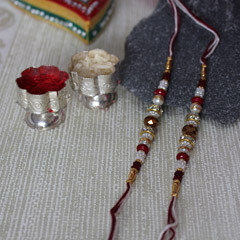 Both Rakhis are stone studded, giving it a stunning look & will truly embellish the wrist of brother. 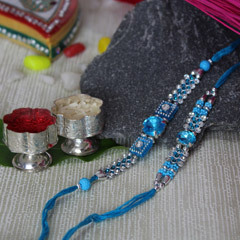 Roli Chawal with attractive silver container is also offered for tika ceremony.